Phewtick is an application that you can earn some money, even it is not much. I started this application on October. During that time, no one knows what is that, so I just ignore it. Until now, I just successful to get the money! =D Hiak hiak hiak!!!! No lies, no cheat. You can cash out your money from Phewtick to Paypal. So have to register a Paypal. Even the amount is not exactly what you had tick, but its FREE what! Of course, No Free lunch in this world. When cash out your money, there will have 15% commissions charges for Phewtick and also will being charged by Paypal too. 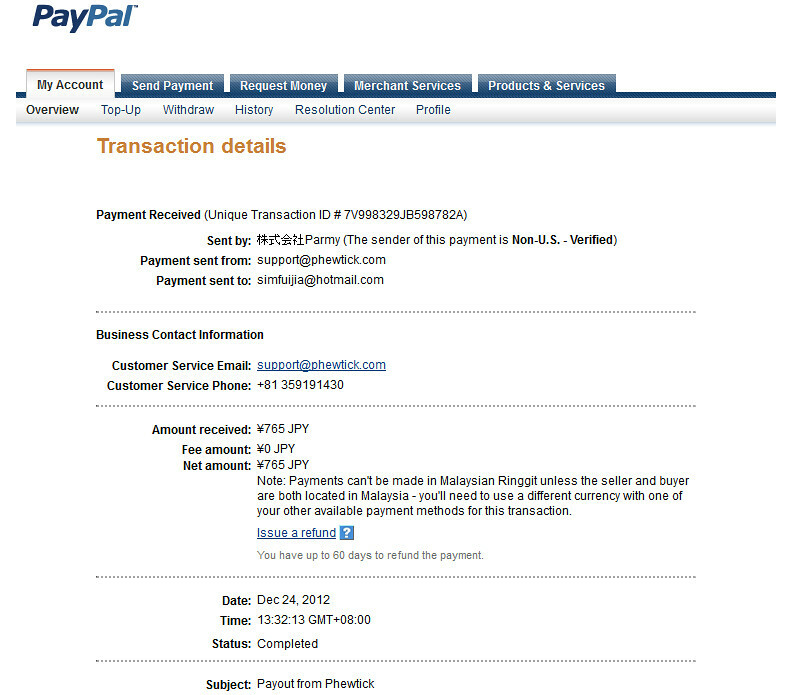 When your Paypal amount doesn't exceed RM400, another RM3 will be charged if you want to withdraw to your bank account. Just open your Phewtick when you meet someone. Then, scan the QR code that shown. Record the meet up, then you will have the points which can be exchange into cash.